After a busy start to 2019, April sees IDP poet Geraldine Green reading at the Buxton Adventure Festival on April 9th. 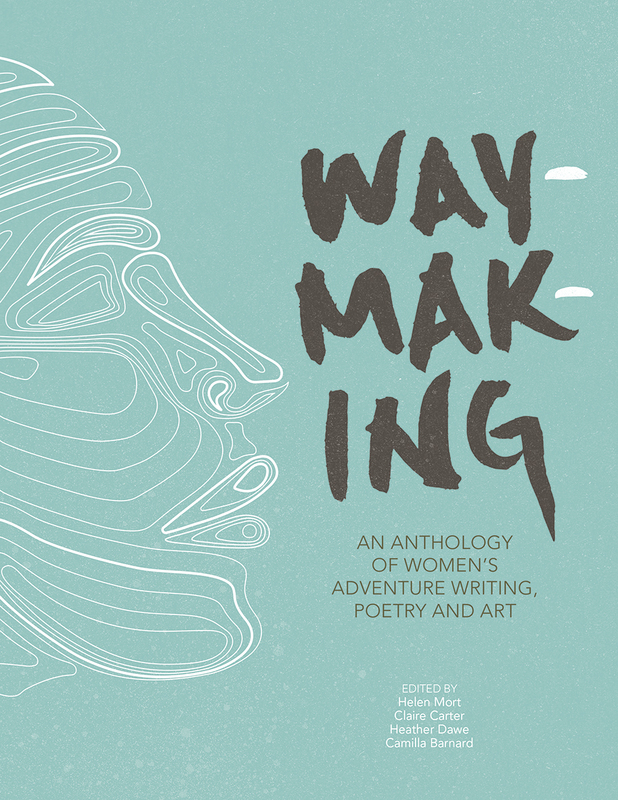 Geraldine says she’s delighted to be reading her poem ‘Signs’ from the Waymaking anthology published by Vertebrate Press, and poems from her IDP collections, Passing Through, Salt Road and The Other Side of the Bridge. She’ll be reading alongside another IDP poet Kathleen Jones, as well as Polly Atkin and Ruth Wiggins. Host is Claire Carter, of Kendal Mountain Events / Kendal Mountain Media Ltd. There’ll be time afterwards for questions from the audience. How does place influence your poetry? How do we create poems that are anchored in the senses yet are free to explore inner or imagined places? Imagination-based poetry moves away from the traditional approach to writing poetry and, through dreams, the unconscious and surrealism, allows the writer to create space for the imagination to explore, invent and roam. Workshops will comprise a series of writing prompts and a variety of stimuli enabling you to create new poems in a supportive environment. There will be time for group and tutor feedback as well as one to one tutorials. Some sessions will take place outdoors. Non-residential option available. Meals and refreshments provided. George is writer-in-residence at the Walt Whitman Birthplace Long Island, New York. Workshops will comprise a series of writing prompts and a variety of stimuli enabling you to create new poems in a supportive environment. There will be time for group and tutor feedback as well as one to one tutorials. Some sessions will take place outdoors. * Non-residential option available. All materials and refreshments provided. Booking is through Brantwood early booking is advisable! 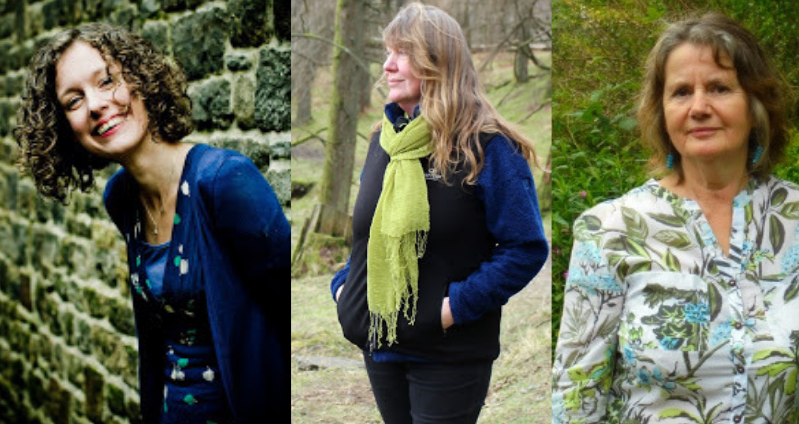 Come and join Pippa Little and Geraldine Green on a 4-day residential poetry course at Brantwood, Coniston Cumbria, former home of John Ruskin. Brantwood is beautiful at any time of year and autumn in the Lakes is especially magical. Using a variety of writing prompts and stimuli new writing will be produced in a safe and friendly environment. There will be an opportunity for group feedback at the end of each session and one-to-one tutorials with Geraldine and Pippa. There’ll also be time to enjoy your own quiet writing time, if you choose. Pippa and Geraldine will give a reading on Friday evening and you’re all welcome to read a poem or two on Saturday evening when the group give a reading to the tutors. Kerry Darbishire songwriter and poet grew up in the Lake District where she continues to live and write in a remote area of Cumbria. Her poems have appeared widely in anthologies and magazines and have won several competition prizes, including shortlist Bridport 2017. Recently she was a runner-up in the international Mslexia Poetry Competition. Her first full poetry collection, A Lift of Wings published in November 2014 by Indigo Dreams. A biography Kay’s Ark, the story of her mother, published in September 2016 by Handstand Press. www.handstandpress.net. Her second poetry collection, Sweet on my Tongue was published by Indigo Dreams in August, 2018. She co-edited the new Handstand Press Cumbrian Poetry Anthology, This Place I know. Pippa Little is Scots, living in Northumberland. She’s co-tutored on several poetry courses at Brantwood, is a Royal Literary Fund Fellow at Newcastle University and currently working on her third collection. We are delighted to see the return of this staple of the Lancaster Arts Scene in our programme. Founded in 1995, Spotlight seeks to promote and encourage the development and performance of writers in the North West. On the third Friday of every month Lancaster’s Spotlight Club takes over The Storey Auditorium to provide a platform for poets, writers, comedians and musicians. The evening begins with six 5 minute open mic slots, to apply for one of these please emailspotlightclub@btinternet.com. This will be followed by two fiction writers, two poets and two musical acts including Claire Dean, Geraldine Green and Kerry Darbishire. Join us for an evening showcasing some of the best of the North West arts scene! Claire Dean is a writer and performer whose short stories have been widely published in anthologies and magazines including The Best British Short Stories, Best British Horror and Cabinet des Fées. Her collection of short stories, The Museum of Shadows and Reflections, has been published by Unsettling Wonder with illustrations by Laura Rae. Claire also creates digital stories that respond to readers or their environments. She is a lecturer in Creative Writing at Edge Hill University and lives in Lancashire with her family. Geraldine Green is the former writer-in-residence of both Brantwood, the home of John Ruskin, and Swarthmoor Hall, the home of George Fox and Margaret Fell. Geraldine has performed widely in the UK, North America, Italy and Greece. Her third full collection, Passing Through, was published in 2018 by Indigo Dreams. She has also completed a Research Diploma in Ecopoetics, exploring the influence of the land on the poetry of Emily Bronte. Kerry Darbishire is a poet and songwriter. She grew up in the English Lake District where she continues to live on a Cumbrian fell side with her artist husband Stephen. Her poems have appeared in many anthologies and magazines and she has won several competition prizes including shortlisted Bridport 2017. Her first poetry collection, A Lift of Wings was published in 2014 by Indigo Dreams. Her biography, Kay’s Ark, the story of her mother, was published by Handstand Press in 2016.